Former President Mahinda Rajapaksa and his kin fear the political success of the three Rajapaksa brothers; Gotabhaya, Basil and Chamal; Parliamentarian Thushara Indunil said. He was addressing a press briefing held at the United National Party Headquarters, yesterday. “If Gotabhaya rises to power, they know that Mahinda or his son would not be able take it from him. They also fear that the leadership of the Pohottuwa party will go to Gotabhaya as well. They fear Basil Rajapaksa, as he has a keen political sense. 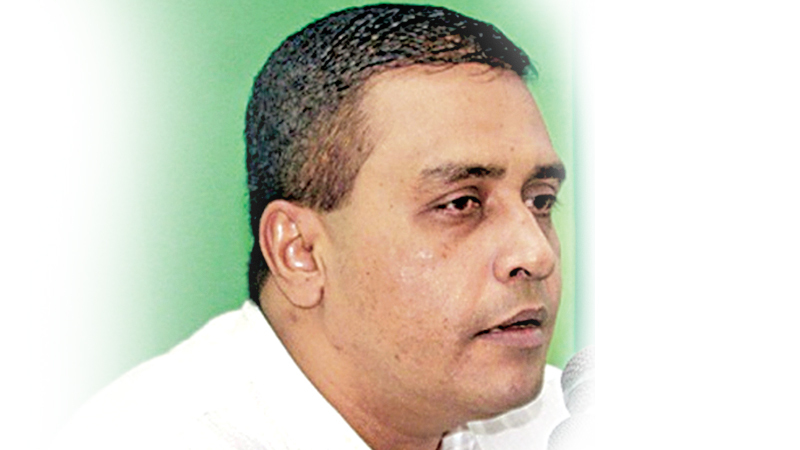 If Chamal comes to power, they fear his son Shashindra Rajapaksa would be next in line,” Indunil added. He said it was the reason the former President wished to be the next Presidential candidate, adding that it had created a rift in the Joint Opposition (JO), with some supporting Gotabhaya Rajapaksa, some Basil and others Chamal. The MP added that programmes such as Viyath Maga, Hari Maga and Eliya, had faded into the background. “Both Gotabhaya and Basil Rajapaksa had left to their homes in America. One said he was visiting family, while the other claimed that he was going for medical purposes,” Indunil said. “Former President Mahinda Rajapaksa rendered a great service by ending the civil war in this country, although he now holds a minute position as an MP, similar to us. However, Mahinda’s attempt to become a Presidential candidate again only taints his image,” MP Indunil added. He said the JO was attempting to strengthen their presence in politics. “They claim that they would come to power in future. They said they would topple the government. During the recent local government elections, they deceived people, saying that their votes would make Mahinda Rajapaksa the Prime Minister. The JO may repeat itself in September as well,” he added. Highlighting the recent incident regarding former President Rajapaksa’s private secretary Udith Lokubandara, the parliamentarian said that he sympathised with him. “The country laughed at Lokubandara; social media made a joke of him. If this is the way the Rajapaksas treat people who dedicated their lives to them, imagine how they would treat people such as Keith Noyahr,” he said. Highlighting Keith Noyahr’s case, MP Indunil said that Mahinda Rajapaksa could not evade the matter by saying he had no recollection of it. Rajapaksa was the one who held the “remote control” of Noyahr’s attack, Indunil alleged. MP Indunil questioned as to how the former President wished to rule a country if his memory failed him to that extent.